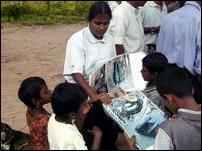 Trincomalee White Pigeon Technical Institute has been conducting a mine risk education campaign in about twenty villages in the Trincomalee district with the UNICEF as its funding agency. 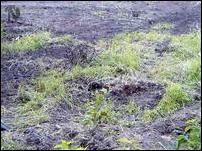 “We received information that two UXOs have been spotted in the agricultural land when it was under plough. We immediately informed the UNICEF of this finding. A team of volunteers of the White Pigeon Mine Risk Education Unit led by its co-ordinator Mr. Wilfred rushed to the site at Kumburupiddy Sunday morning with posters and pamphlets to educate the returnees the danger of engaging in agricultural activities without ensuring mine free area. Internally displaced people have been returning in small numbers to resettle voluntarily in Kumburupiddy, which has not been de-mined and was not declared free of mines and other UXOs, sources said. White Pigeon volunteers told the returnees actions to take when they discover unexploded ordnance in their abandoned lands. 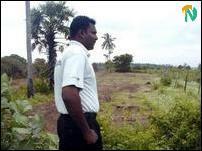 The Sri Lanka Navy has still not handed over the map of the Kumburupiddy village identifying the sites where they had laid mines and booby traps during the war to the authorities concerned, said Mr. Wilfred. 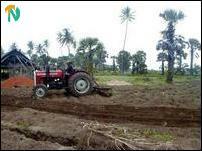 The returnees have been cultivating their abandoned lands after ploughing with tractors. 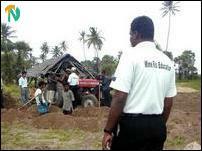 One returnee last Friday had brought a chain bulldozer to level his land, which is located, close to the navy sentry point on the Trincomalee-Kumburupiddy main road. Fortunately he found two UXOs in his land while the bulldozer moved in. He immediately stopped preparing his land for cultivation and reported the matter to the White Pigeon organization, sources said. White Pigeon volunteers Sunday visited lands where ploughing had been going on and told the farmers about the precautionary methods to be taken when they discover UXOs in their lands. 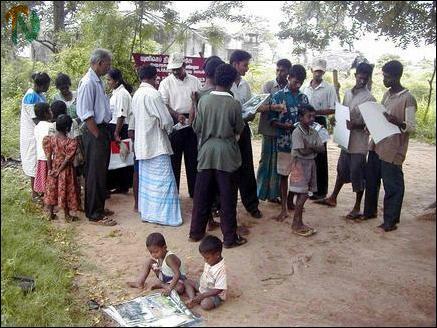 Later they addressed men, women and children in the village on mine risk education displaying posters supplied by the UNICEF, sources said.